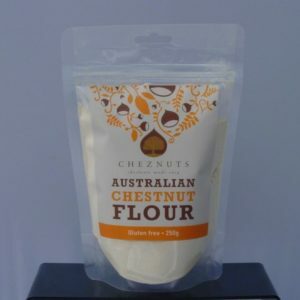 Hello from us here at Cheznuts. It’s been a while since our last newsletter; we basically took a year off and made 2017 one of quiet reflection on our life and business. There were some issues that needed our focus and these have been addressed so we are looking forward to 2018 with renewed enthusiasm. We are ready to reconnect with the world and I hope you’ll welcome us back. 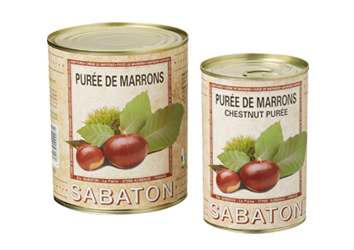 We now have over 100 chestnut trees which are the Chiusa Pesio variety. In the past we’ve promoted De Coppi Marone and this is an excellent variety but the Chiusa Pesio is (in our opinion) just that little bit better. In addition, we don’t know the provenance of De Coppi Marone but Brian and I have actually visited the mother tree of Chiusa Pesio in the small village of the same name in the region of Piedmont in NW Italy. 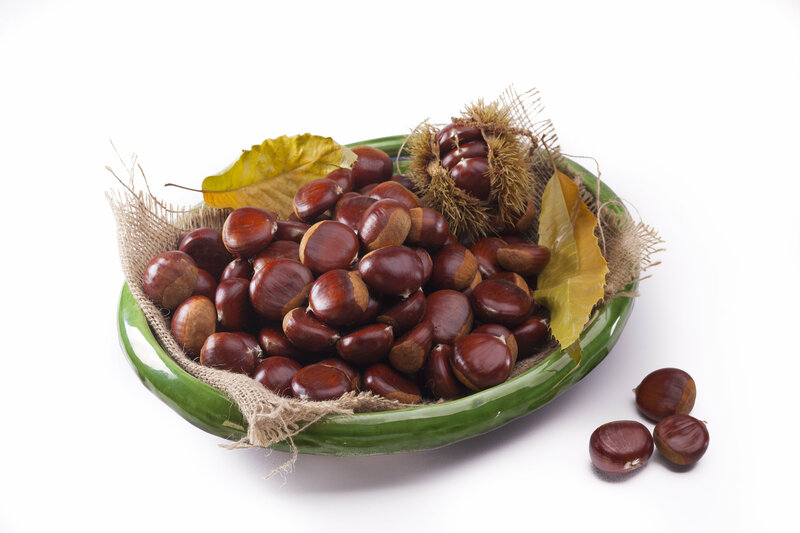 The wood was imported through quarantine in the 1990’s by another chestnut grower but it has not been widely released to the industry. It is often mixed with De Coppi Marone because of the similarity. 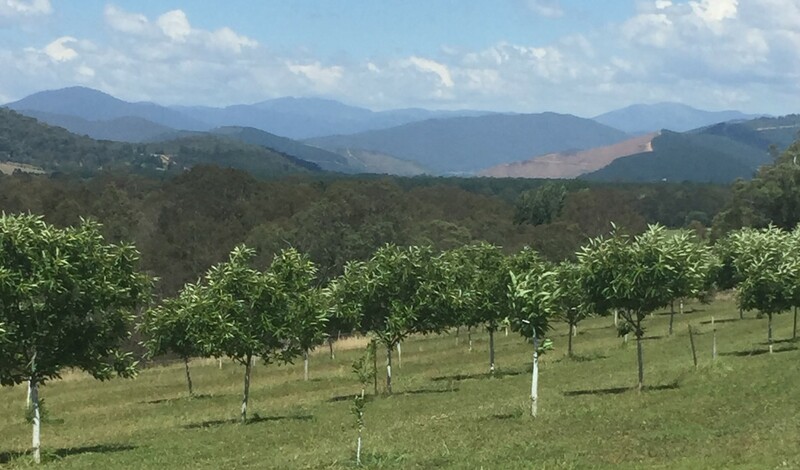 Good rains in Spring have been backed up by significant rain events in early December and again just after Christmas making this one of the best growing years for chestnuts that we’ve seen. 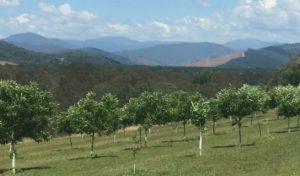 It looks like being a bumper chestnut harvest here in NE Victoria, fingers-crossed and this means we should be able to (finally) return to online sales of fresh nuts. Brian and I are keen travellers and try to get overseas each year. We love to incorporate visits to areas that grow chestnuts to expand our knowledge and experience. In October 2017, we visited the south of Italy and then a small part of Sicily. We travelled to Sicily specifically to see a special very old chestnut tree but one of the very big surprises of our trip to Sicily was visiting Mt Etna. We were staying in Taormina and on the way to Mt Etna we drove past grape vines and then orchards of olives. About half-way up we started seeing chestnuts and before long we were in the middle of a chestnut forest. We did not expect to see such a sight. Whilst we’ve read much about the old chestnut tree, we were not aware of forests of chestnuts in Sicily. Being October, the nuts were falling and we passed many cars of local families, bags in hand, who had stopped to forage. There is a large chestnut tree in Sicily on the foothills of Mount Etna that we had learned about many years ago. It is called the 100 Horse chestnut tree and was said to be over 2,000 years old. It’s not a horse chestnut – the legend is that it sheltered 100 knights and their horses during a storm. It certainly is a very large tree and is actually a compilation of many trunks all coming from the same root source. Overall the trunks are 22 metres in circumference and it is over 22 metres tall. 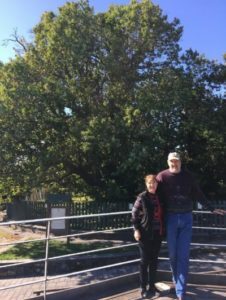 We visited this tree with chestnut friends from Stanley – David and Helen McIntyre. 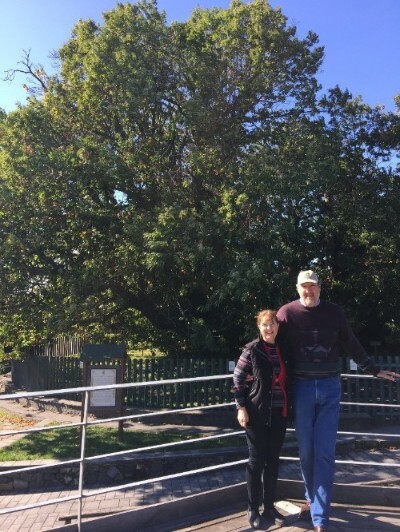 Helen wrote an article about our visit to this historic tree for the industry magazine Nuts and Burrs and she has given me permission to publish it on our website. If you’d like more information, here’s the link to her article. As well as visiting Southern Italy, we also spent a few days in Istanbul. Brian is very taken by the history of Constantinople (Istanbul) and the Byzantine Empire and Turkey is actually one of the largest producers of chestnuts in the world so was always on our ‘to visit’ list. 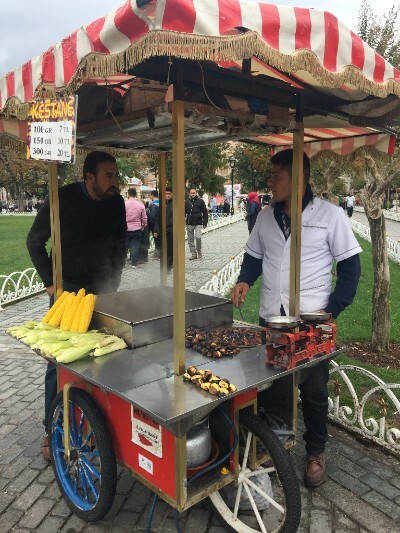 It was incredibly interesting and we stayed in the old part of the city between the Hagia Sophia and the Blue Mosque so we were right in amongst all the action. Of course, being October the chestnut sellers were out and about. This one was in the park just outside the Hagia Sophia. The quality of the roasted chestnuts was excellent, the virtually peeled themselves and were very tasty. 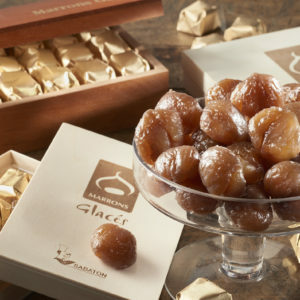 With the weather being hot, the last thing you would be thinking about is roasted chestnuts! 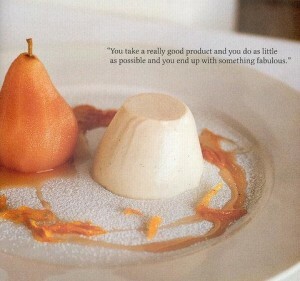 Just as well we have a nice cool Chestnut Panna Cotta with Moscato Poached Pears. This is one of my all time favourites because it’s super easy but looks and tastes sensational. 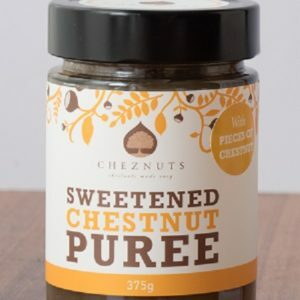 Our sweetened chestnut puree is not as smooth as the imported puree so to keep the panna cotta silky smooth you’ll need to strain the mix. 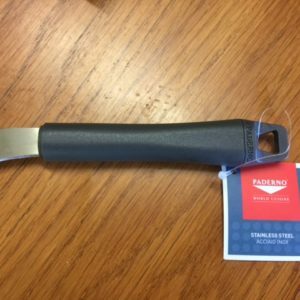 If you prefer it to be a little textured, then simply don’t strain.